June 2nd, 2017, is a milestone for fossil free energy in general and for Waves4Power in particular. Today the Waves4Power wave energy system was connected to shore and started to deliver electricity to the Norwegian power grid. June 2nd, 2017, is a milestone for fossil free energy in general and for Waves4Power in particular. 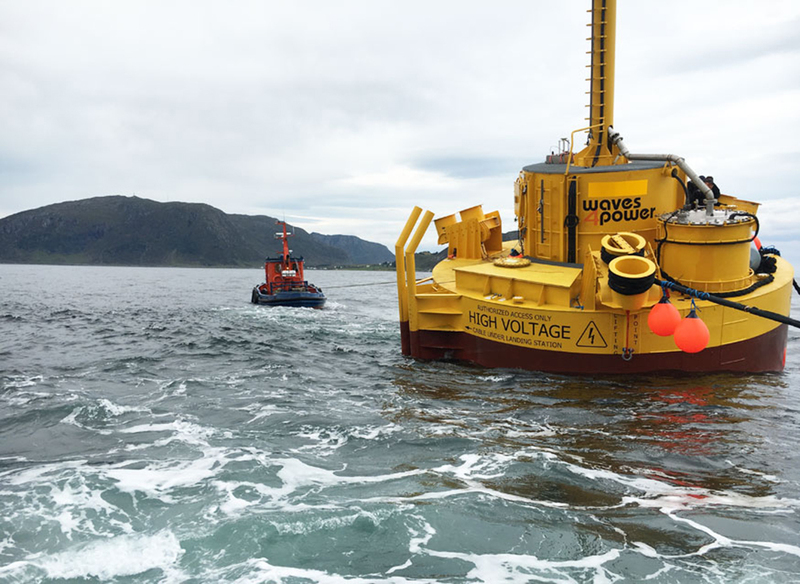 Today the Waves4Power wave energy system was connected to shore and started to deliver electricity to the Norwegian power grid. This took place at Runde on the Norwegian west coast; an optimal place for wave power with its abundance of strong waves. 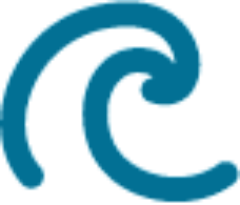 The Waves4Power wave energy system consists of the WaveEL buoy, a connection hub, and custom designed proprietary marine cables from the buoy to the hub, and from the hub to shore. The cable from the hub to shore is 3 km long. The complete system is the result of years of development work, prototypes, and testing. This is a full-scale demonstration installation and the first step towards commercial serial production. The serial production site will be at Fiskåholmen shipyard in Vanylven municipality. Stryvo Group AS, Stryn is responsible for the production. The WaveEL buoy was deployed at Runde in February 2016. A week after deployment, the system was challenged with 14 m high waves at the launch site. This is what we call a real live test of system survival even though the mooring system’s design parameters are for substantially larger waves than this. In April and May of 2017 the complete system was finally installed on site and connected to the land-based power grid. Runde Environment Centre and Tussa Energy, the local power company, have played important roles in making this possible. The marine operations have been planned, supervised, and performed by BlueOrbis AB and Olympic Shipping AS. Waves4Power has built a unique network of industrial partner companies. Each partner company is an industry leader in their respective field of business and they take full responsibility for their solutions in the complete wave energy system. This collaborative approach to the work adds immeasurable credibility to Waves4Power and speeds up the development process.